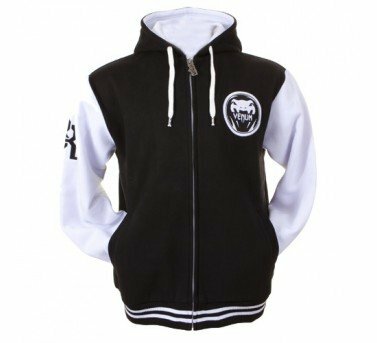 100% heavy cotton with many embroidered logos, “All sports” hoody is perfect to keep you warm inside or outside the gym with a unique style. Technical features: – 100% high quality cotton. – Very soft and comfortable. – Two front pockets. – Full front Zip Up closure. – Embroidered logos. Full front Zip Up closure. This product was manufactured by Venum. Bought this a couple of weeks ago and I must say this is one sick jacket! The design is just so great and really keeps me warm! Hats off!